26th November marks a month since the recent natural disaster struck Pakistan. 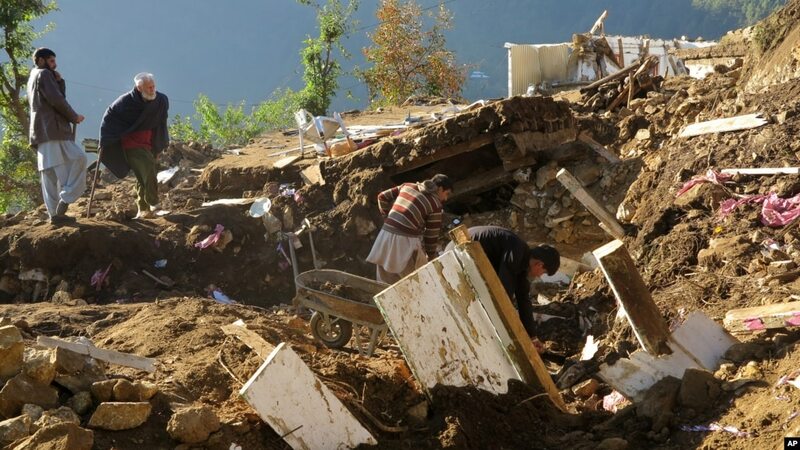 With a staggering magnitude of 7.5 the earthquake ripped through the northern areas with unparalleled ferocity leaving hundreds dead and thousands of lives shattered. According to the BBC, government officials have stated that ‘at least 10,000 homes were destroyed’. And it was the issue of the civilian institutions’ response to the devastation that the Senate recently picked up to criticise the government. 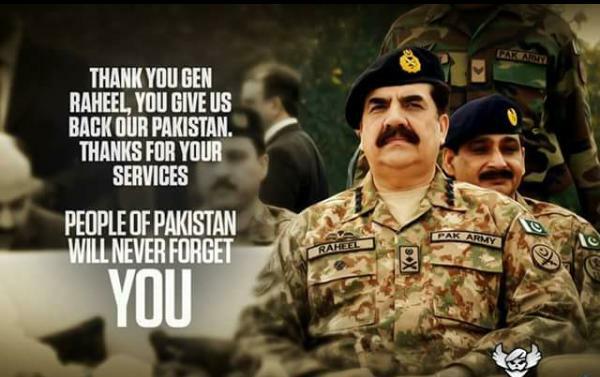 The army’s influence in Pakistan is one that is entrenched and patent but despite this being rooted in a long history which has rendered the dominance indelible on the country’s political, social and economic domains, there still remain fronts on which the civilian government happens to give way for the military to spurt ahead, boost and bolster its existing power. While any efforts undertaken for the earthquake victims from any quarters of the state were both crucial and commendable, it is important to explore the political implications they also happened to contain. One of the clearest political implications of the army having given the first call for action in aiding the earthquake victims was the contrasting impression of the civilian government’s indifference resulting from its momentary inaction. Critical instances like these feed into the popular belief in the Pakistan army’s unparalleled integrity and commitment to the people, inspiring tremendous trust in the military as an institution. This belief is frequently revealed in surveys and polls. The most recent of these was conducted by PILDAT, and while it revealed Prime Minister Nawaz Sharif to be the most popular political leader in Pakistan, it spelt the age-old result for the army which corresponds to its image among the people: as the most trustworthy institution in the country. However, this division of trust and popularity is striking since it can be mapped onto the larger landscape of power and politics in Pakistan. The separation of popularity and trust is a key feature of the existing system in the country, where a civilian setup of a democratically and popularly elected government rules but often lacks the trust of the population. In case of natural disasters, this distrust is most evident when it comes to peoples’ willingness to donate to funds for the victims; most are more willing to donate if the material and monetary donations are to be channeled through the army rather than the government. Although this lack of faith and trust in civilian governments greatly owes itself to the failures and corruptions of previous governments, it has also been sown through decades of dictatorship and their accompanying discourses which were used to justify and legitimate their existence by demonizing civilian rule and institutions. Nonetheless, attention must be called to the fact that the pace and degree of response and action, especially in testing cases such as those of disasters, are battlegrounds where governments’ trust is lost and gained. It is imperative for the government to realize the indispensable importance of time in framing its response, performance and action in all areas of national affairs let alone natural calamities. It is here that the army takes the lead due to government inertia and delay thereby inevitably succeeding in being posited as an institution more responsive, hence closer to the public and their problems. The government’s delayed response undermines its own credibility which is otherwise pivotal in challenging moments like these during which support can be pocketed by elements inimical to peace in Pakistan. 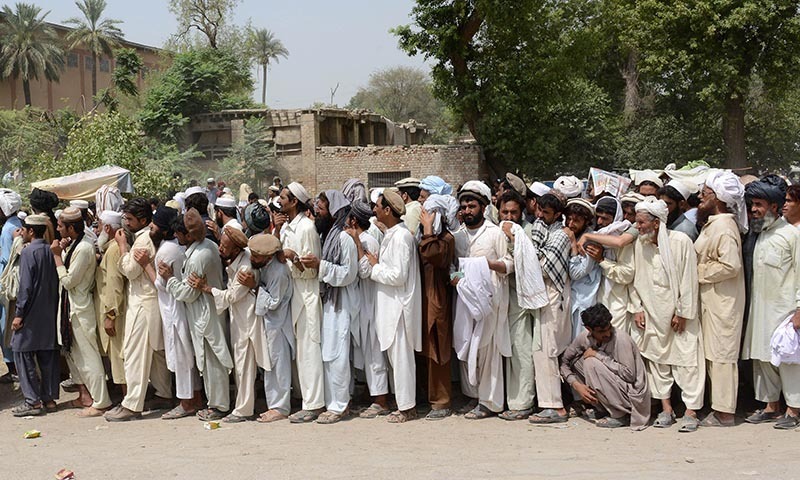 It is no secret that crises of devastation, displacement and dislocation, compounded by the Pakistani governments’ conventionally slow and sluggish response, are often fertile grounds for non-state actors, militant and extremist groups to flourish in by activating their networks to function as relief groups within affected people while there remains a vacuum of proper government presence and assistance. Another aspect to note relates to the nature of responses. 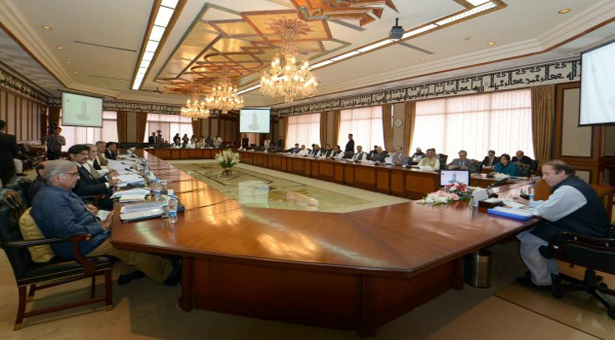 While the PM announced a relief package for the affected people and ordered the establishment of several mechanisms to ensure its effective deliverance to the people, including a crisis cell for coordination between federal, civil, military and provincial agencies, these are still short-term measures. Cash compensations do not adequately, if at all, contribute to the long-term rehabilitation of affectees which is urgently required in the case of tragedies on the scale of the recent earthquake. In a country plagued by a deep institutional power imbalance, civilian governments cannot and must not falter and flounder in responding to issues, affairs and crises; creating voids, even if temporary, for other institutions and groups to fill in and fragment its credibility and authority that are both detrimental to the health of the state and dent its potential for a truly democratic future. Undeniably, the legitimacy of the civilian system of power is inextricably tied to its credibility which must be firmly established, constantly guarded and advanced. If a civilian system of power has to be maintained, governments must invest it with the credibility it craves, through their governance and performance, which firmly confers upon it the empowering authority it often lacks. Perhaps the idea that credibility must be constructed and cemented rather than let to chip away is too simplistic a proposition for redressing the power imbalance in Pakistan. Yet it is remains essential to recognize that legitimacy, credibility and authority are intertwined with each other and central to the narrative, if not the reconfiguration itself, of the Pakistani state’s distorted institutional ties. In the sombre shade of this, any sign of government lethargy dashes hopes for democratic civilian ascendancy, or so a military press release would concur. 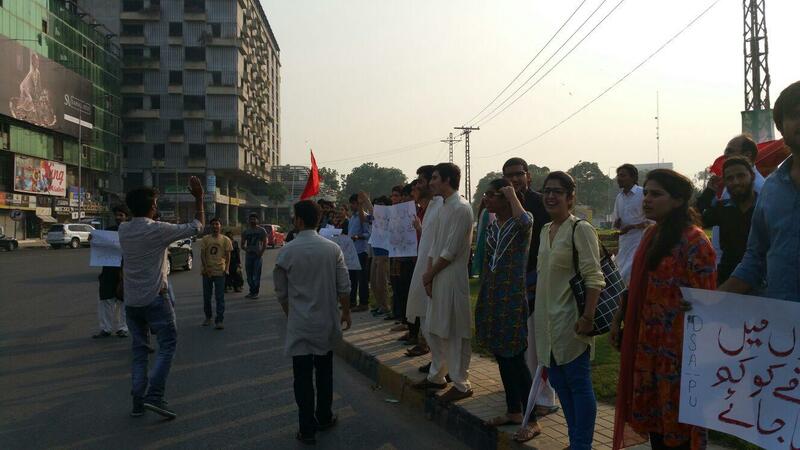 On the 4th of October 2015, the Democratic Students’ Alliance, an organization of left-leaning students, called for a protest in Lahore against the ban on student unions in Pakistan. 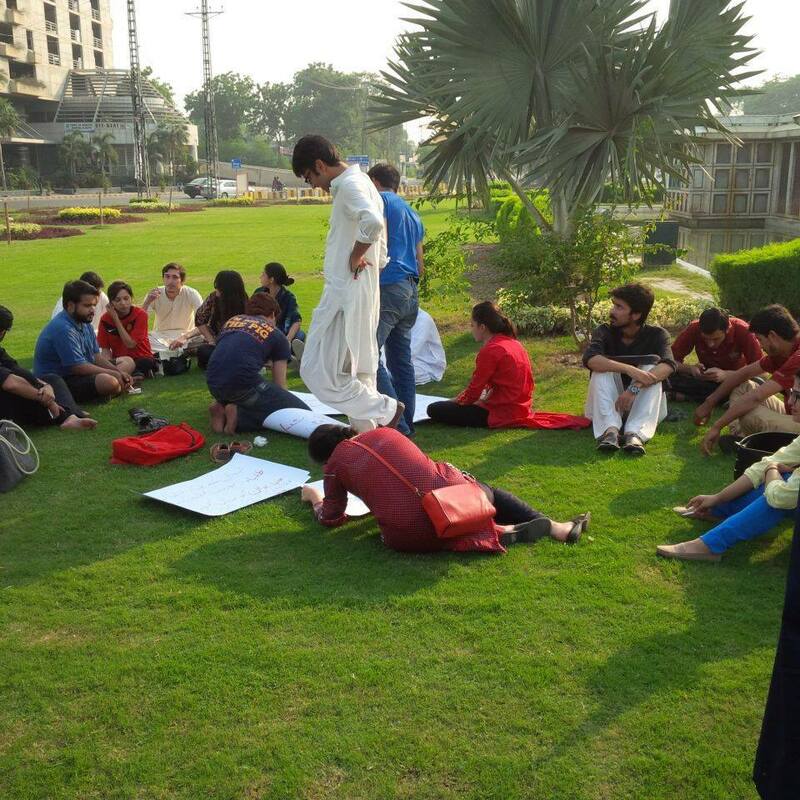 The protest was attended by students belonging to various chapters of DSA including LUMS, Government College University, Forman Christian College, Punjab University and Beaconhouse National University. They were also joined by young activists belonging to the Awami Workers’ Party, the Progressive Youth Alliance and Ali Aftab Saeed who came to show their support. The protest was one of the many follow-ups planned by DSA for their plea sent to the Chief Justice in August 2015 to take notice of the student union ban. Participating in this protest spurred a number of observations regarding the protest culture in Pakistan which require emphasis in view of public protest and assembly as two rights critical to any democratic dispensation. One of the most important demands spelt by the situation in Pakistan today pertains to the idea of independent mobilization, divorced from politicization relating to political parties but not political issues, and the need for it to take root in Pakistan. And it is vital for any culture of civil society action here to be based on the belief that any ordinary, concerned person can independently take initiative both as his right and duty as a citizen of the state. The recent protests and rallies taken out by parents against a hike in fees of private schools and their success should only provide impetus to the idea of civil society organization and action operating within the scope of democratic liberties. This is especially crucial for the youth in Pakistan, which forms a population bulge today and is increasingly faced with prospects of a future which appear bleak at best, that they know they can negotiate their present and future within the realm of democratic rights, expressions and possibilities. However, for students several strands of difficulty confront them regarding the issue of mobilisation and action; one of which is the education vs. activism binary that pronounces an engagement in activism as a denouncement of commitment to education. In his book on Eqbal Ahmad, Stuart Schaar mentions that Ahmad argued in 1992: “The educational purpose is truly well-served when students are helped to develop a moral outlook…when they know that a primary purpose of learning is to elevate the quality not merely of one’s personal and family life but of the social environment.” And as an expression of awareness and action, student mobilization clearly complements the essence of education. This is a fact evidenced by numerous student movements which have dotted global histories including Pakistan’s, where students have constantly stood up since the very beginning; from the creation of the country, against Ayub’s ‘Decade of Decadence’, Zia-ul-Haq’s regime to Musharraf’s rule. But the reason for this is association of activism with a lack of commitment to education also owes itself to the predominant attitude towards activism in Pakistan, which is not just of apathy but also of antipathy; seeing activism and civil society mobilization as futile activities that will yield nothing. Personal detachment from activism is coupled with looking down on those who are engaged in it. It is perhaps the prevalence of this mindset that has acquiesced with the deplorable conditions in Pakistan which have been perpetuated regimes after regime relying on public inaction as a prop to their own indifference regarding the country. Yet this perception towards protests and activism has been heightened and expanded into one that also demonizes them, while completely disregarding Pakistan’s rich history relating to them, as foreign cultural imports lapped up by the godless and west-loving ‘liberals’. Creative methods of keeping the people engaged, such as music, during events of protests and activisms are especially frowned upon in the country. Everyday Rebellion, a documentary ‘about creative forms of nonviolent protest and civil disobedience worldwide’, which was screened at the Karama Human Rights Film Festival 2015 in Gaza does much to particularly throw light on this aspect as not only something that is organic during moments of mobilization but often also critical to their success in sustaining the spirit of collective solidarity, action and unity. However, a most alarming aspect related to the larger perception of activism and protests in Pakistan is the scandalization of female participation in them. This was a phenomenon that became notoriously prominent in the spate of attacks hurled at Imran Khan’s dharna last year, which disagreements aside, must be lauded for having created, encouraged and welcomed space for women. In a country where a woman is discouraged from having opinions of her own by society, their expression and demonstration in public spaces will naturally be a cultural anomaly to be condemned. This scandalization is but a part of the larger problem women here face regarding public spaces and places, which are designated as alien territories for women in which their presence and visibility are cultural anomalies. 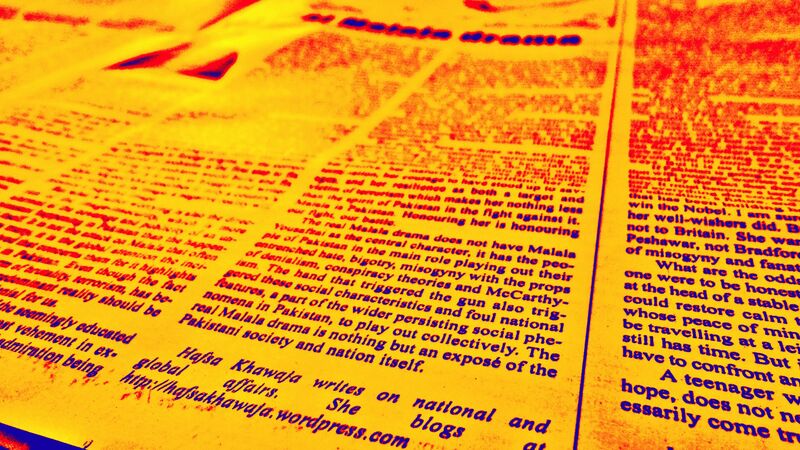 But for any culture of mobilization, protest and action to thrive to the benefit of progressive changes in Pakistan, the normalization and acceptance of female participation is imperative. During the DSA protest we began clapping to provide greater rhythm to our chants and slogans and it was during this that two men on a motorcycle construing the act as some sort of celebration jokingly commented “anday sastay hogaye hain?”. But if this mobilization, scant for now, and collective expression of consciousness and conscience persists and grows as both a right and duty as citizens of a state, who knows, someday we might really be clapping for having achieved greater affordability of basic necessities of life for ordinary people, and of course, sastay anday. As yet another political crisis brews in Pakistan, political discussion and arguments steam through it. Emotions are high, and arguments equally heated and intense. It is often assumed to be the case among Pakistanis that any existing political support must encompass all aspects of a party regardless of personal agreement or disagreement. In other words, support has to be uncritical or it doesn’t fit the definition. If figure, institution or idea has to be supported, all that comprises them has to be backed; and whoever or whatever is to be opposed, must have the hate whole. This is no country for nuance. As Bekir Agirdir, the director of a polling company and a political commentator, noted, it has become impossible to reasonably discuss even Istanbul’s water problem, because Erdogan supporters will deny it, whereas Erdogan opponents will exaggerate it. With the political turmoil pitting PTI right against the PML-N, any argument seems to define opposition to Imran Khan’s politics as ‘Noora’ support for Nawaz Sharif; and any support for PML-N, the institution of government and the state as support for a corrupt Pakistan. Any acknowledgement of Asif Zardari’s political genius and success of Machiavellian politics is taken as jiyala praise for PPP’s lacklustre performance. Independent political opinions or thoughts are now refused to be seen without suspicion of political affiliation and loyalty lurking beneath to dictate them; and allegiance is expected to be, as aforementioned, complete, uncritical and whole. Similarly, the dichotomy of discourse has monstrously grown to swallow all civility. 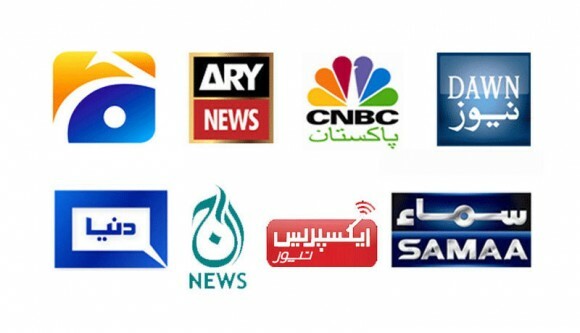 The bitter and brash assertion and argument of opinions has taken over discussions and conversations completely with derogatory words among which are jahil, noora, noony, anti-Pakistan and beghairat. Relations are publicly souring on social-media platforms and in lounges and drawing rooms, as respect is being trampled by charged political self-righteousness. Any support for a party must be based on solid, logical reasons and if it indulges in socially, ethically or politically reprehensible pursuits; it must be condemned. Pakistan’s interest, not personality cults, must direct party support. But in the current atmosphere no word against the holy saints of Raiwind and Bani Gala is brooked. It is either this or that, with us or against us, black or white. Binaries are the order of the day. Socially, any sign of broad-mindedness that challenges redundant conservatism on issues such as female education, attire, careers is characterised as ‘modern’ or ‘liberal’ with negative connotations. Religiously, General Zia’s toxic legacy of Islamization reigns as people consider any interpretation of Islam apart from their own to be heretical. This has been a polarisation that has had bloody effects by physical demonstration in the form of terror groups and extremism having slaughtered 50,000 Pakistanis till now. The ideological textbook propaganda found in Pak Studies on the creation of Pakistan, its culture and religion does also not help by its distortions of history and the truth. These have been so well-indoctrinated by now that they not only, unfortunately, shape much of Pakistani national and political discourse even today, but any attempt to challenge them is undermined, ignored or thrown to the bin of numerous Pakistani pejoratives that include liberal-fascist, anti-Pakistan, RAW agent etc. All of this spells our penchant for polarisation. Polarisation is not merely a disappointing national phenomenon, it is a dangerous one. After all, it is polarisation which breeds intolerance and a parochial mentality by shunning debate and discussion. Being cut off from debate and a diverse range of different and dissimilar views has the effect of intellectual insulation and isolation; plus a lack of respect for opposing opinions. This creates a hostile, suffocating environment for all people to be heard, understood and respect. This might explain why many segments of the nation such as the Baloch, the Pashtuns, and the religious minorities et al are misunderstood. They are either never heard, lent an ear to be heard or their voices are hushed. Debate, civil argument and discussion are keys to a more pluralistic, open, tolerant society; and the very heart of democracy itself, which is why polarisation is the cancer at the heart of Pakistan. As the state transitions through challenges, so must the people by developing a pluralistic rather than a polarising environment, discourse and attitude – if Pakistan is ever to move forward. Since the past one month, the political temperature has been rising by the day. Attacks against the government have grown only to culminate as an intentioned final blow in the form of marches to the capital to unseat the PML-N government. 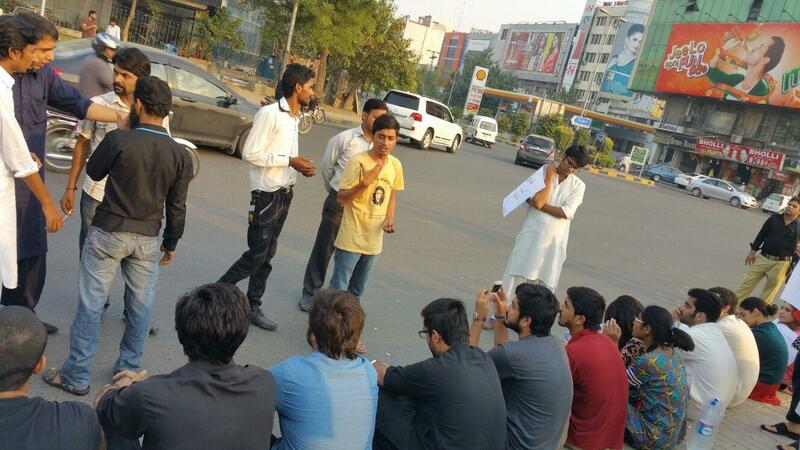 Imran Khan’s PTI and Tahir-ul-Qadri’s PAT are driving their respective marches and inquilabs. Any political crisis is inevitably a breeding ground for opportunism, point-scoring, mud-slinging, propaganda, vendettas and agendas. The case hasn’t been dissimilar in Pakistan where the two-seater Chaudhrys of Gujrat, and the lone-parliamentarian Sheikh Rasheed have been hanging on inquilabi coattails. However, amid the political chaos and uncertainty has been a positive development. From JI, PPP, JUI-F, ANP to MQM, there has been a perceptible manifestation of political maturity. Having placed their own political agendas, differences and issues on the second rung of priority, they have come together in their advocacy for political dialogue; advice of negotiation, concession, flexibility and reconciliation to the government; and in the process, palpably demonstrated the spirit of democracy. Publicly speaking on the dangers posed to Pakistan, its nascent democracy and hopes for a democratic future by current developments and the government’s response to them, many notable members and leaders of these parties such as Khurshid Shah, Raza Rabbani, Aitzaz Ahsan, Qamar-uz-Zaman Kaira, Mehmood Achakzai, Hasil Bizenjo, Zahid Khan and Afrasiab Khattak have emerged. With separate visits made by these parties to the ruling government’s leaders and members, imparting advice and help to them in dealing with the marchers; this political engagement has been a welcome occurrence. The government’s decision to allow passage to both marches was a prudent abandonment of the jitters and edginess it had been demonstrating by the placement of containers, barriers and other measures that were characteristic of its tendency to overreact and create crises; and making monsters of minions. In Hamid Mir’s recent show of Capital Talk, Federal Minister Saad Rafique revealed that the government’s decision to allow passage to Tahir-ul-Qadri for his march was reached in consultation with the PPP. It seems that the parties have learned from their mistakes and the lessons of the past which dictate that political infighting, politicking and the politics of destabilization only benefit and strengthen the forces against democracy at not just their cost but of the country too. 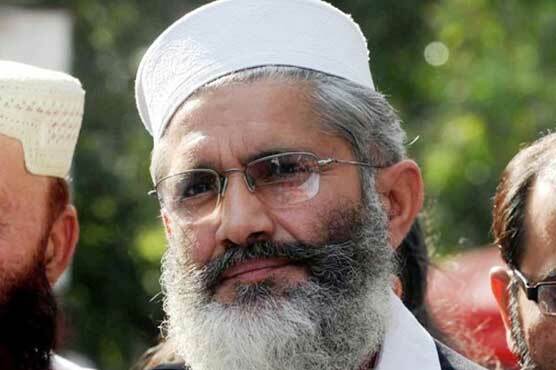 It is also quite remarkable how JI has emerged as the voice of sanity and sense in the prevailing political chaos; a credit that clearly goes to Siraj-ul-Haq for practising his political leadership responsibly, thereby bringing the party to the forefront of the battle against potential destabilization in Pakistan. Political unity and maturity augurs well for Pakistan. In the current crisis, it has attempted to function as a conduit between an obstinate opposition party and a sluggish government. Provided success at the end in the form of a deal out of this political pandemonium, this is sure to set a solid precedent as solution to future political tangles. Previously, it was witnessed in the signing of the historic 18th Amendment under the PPP government which effectively defanged the president by removal of the infamous 58(2)b that long stifled Pakistan’s democratic sprouts in the 90s; and enhanced political autonomy – all of which was a stride in Pakistan’s transition to a proper parliamentary republic. Similar was the case during Tahir-ul-Qadri’s ‘inquilab 2013’ in Islamabad, which was deflated by the PPP government’s shrewd and sensible handling in cooperation with fellow political actors. Democratic continuity is the root of this much-needed establishment of legitimacy of the civilian system of power, a cause for which some of the prominent political parties have now been seen to be standing up for amid current political problems through active engagement with the government; PTI and PAT. Therefore, if it flourishes, this political solidarity, maturity and sagacity can strengthen, empower and invest the civilian system of government with the power, will and dynamism it sorely lacks to face challenges and set Pakistan on the road to prosperity. Political unity, maturity and sagacity are undoubtedly essential complements to Pakistan’s democratic evolution. And one hopes they prevail at the end of the current political turmoil; and democracy triumphs. 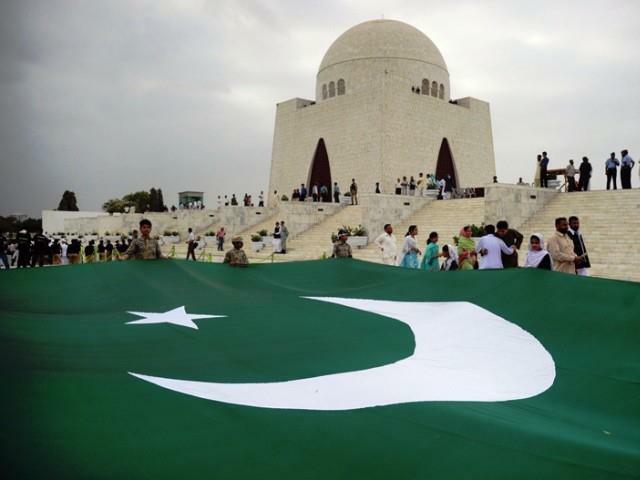 Embroiled in a war at home and a plethora of political, economic and national crises, Pakistan is nearing a tumultuous 67th year in existence. Imran Khan’s initial demands for electoral recounts in particular constituencies have now snowballed into the demand for the departure of the entire PML-N government or badshahat; and mid-term elections that he, once again, expects to sweep. For many, this transformation of demand indicates Imran Khan coming out for what he has really wanted all along for a government that he refuses to believe was not given to him to lead. All set to head as prime minister, a development he was sure enough to have declared it on national television on Hamid Mir’s show, Khan Sahab’s romantic expectations defied entrenched Pakistani electoral dynamics and intricacies leading to a result he did not anticipate. In a developing, chaotic and overly-politicised country like Pakistan, there are no doubts that the elections of 2013 were not without irregularities, problems and issues. All of which lends greater gravity to the need for electoral reform. However, to deem the entire election ‘stolen’ and call for re-elections is to repudiate the will of those who voted for the government. Some of the top electoral rigging claims of PTI have been debunked for political claptrap, most recently done by Zahid F. Ibrahim in his Express Tribune Op-Ed ‘Ten Truths about Electoral Rigging’ which takes each claim and factually counters it. It is also quite peculiar that, according to the PTI, the entire elections were a dishonest affair with the Election Commission, caretaker government, media, judiciary actively colluding – and it is yet to present evidence and prove how exactly this collusion transpired – to prevent its victory in all of Pakistan; but in KPK. With this in mind, it really does seem to be the case then that the PTI is protesting against winning in the ‘wrong’ province. A recent video of PTI Deputy Information Secretary Fayyaz Chohan does not only accuse Kayani of rigging; but also goes far to point to an international electoral conspiracy including the USA, UAE, KSA and India. 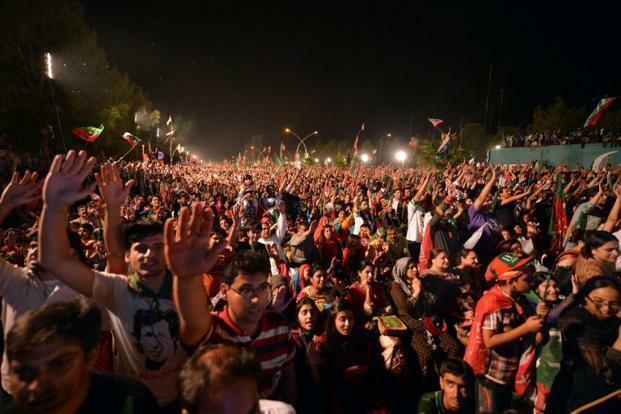 ‘That the PTI is demanding mid-term elections on the back of evidence that Election Tribunals have found insufficient speaks solely to the damaging lust for power Imran Khan has found himself in.’ As evident is the callow approach of the PTI operating under the ‘Azadi March’, which seems to be exactly as Ammar Rashid, an independent researcher and information secretary Awami Workers Party (Islamabad/Rawalpindi), called out to be: PTI standing for little more than making Imran Khan PM at all costsa – equally astounding is the performance of the government in its first year that has largely been characterised by lethargy. The PML-N has come to power at a time when Pakistan is the convergence tip of crises; which does not grant the government the allowance of incompetence and lassitude. With increasingly-unbearable power shortages, huge numbers of the unemployed, persisting poverty, a sluggish economy and fear of a terrorist backlash of Zarb-e-Azb; this is a moment demanding sharp and decisive decisions, policies, works and implementations. The Sharif government must realize that gone are the days when it was till the ballot box that a party had to prove itself; in today’s competitive political environment, it is now beyond the ballot box that parties have to prove themselves with performance; or risk being pounced on by opponents. With blockades and containers around Lahore, and the decision to invoke Article 245, the government’s panicked response to the planned marches of the PTI and PAT is congruent with its disappointing tendency to overreact and create crises; that it needs to learn to avoid. Similarly, it is essential for Imran Khan to accept that his expectation of becoming the prime minister was not fulfilled to by the majority of the people as demonstrated by the ground realities which hit him hard in elections. 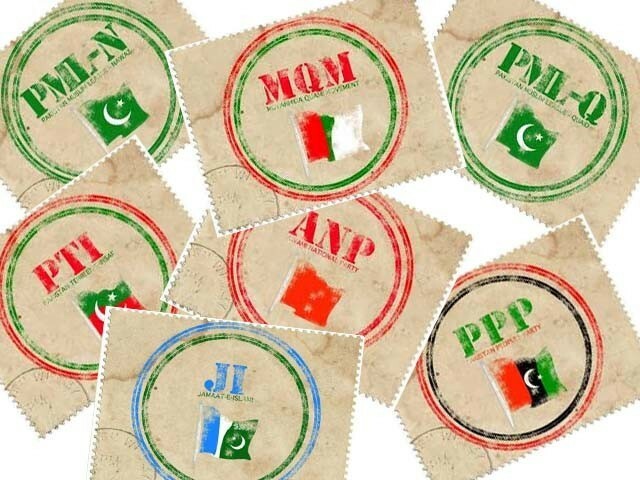 Having broken the shifting political monopoly between the PPP and PML-N, PTI holds immense potential to be potent force of opposition in the parliament, an attacking but constructive role augmenting the democratic plinth in Pakistan; but its present politics of fixation, immaturity and obstinacy are not only destructive for Pakistan’s nascent democracy but for PTI itself. It needs to channel its potential and power as a formidable political force in Pakistan; as opposition, keeping the government with their socks pulled up all the time; and as the provincial government, focusing its strength and vision in Khyber-Pakhtunkhwa and practically presenting itself as a plausible alternative to other parties in Pakistan. PTI should focus on developing KPK as a model of its governance; it should compete with the PML-N government through governance, for the last thing Pakistan needs right now is destabilisation. Columnist Gul Bukhari raised a pertinent point on Twitter commenting that the Sharifs seem to have lost all interest in governance and adopted a singular programme of reacting to Imran Khan’s relentless pursuit of power. Protesting is one of the most important constitutional rights, even more significant for the exercise by the opposition; however attempts to topple a democratically-elected government and seeking to sink the system merely because your dominance is denied in it are no rights whatsoever. The system in Pakistan has problems, Pakistan’s budding democracy has problems, but to set the stage for instability, destabilisation and the Doctrine of Necessity in the pursuit of personal political and party interests is never the solution. Imran Khan’s bare demand of fresh elections coupled with his obstinacy project a sure stalemate. However, if the government displays political maturity and level-headedness in handling this delicate situation with cautious care and control; if the army stays at the battle front; if other political parties like PPP, JUI-F, JI, ANP and MQM recognize what is at risk and come together in interest of Pakistan and democracy; if better sense prevails, the situation may still be able to be salvaged. Just last year, Pakistan witnessed the term-completion of a democratically-elected government for the first time in its history. And the Elections were expected to augment this democratic tradition, however ensuing political attitudes inclined towards infighting seem to push Pakistan back into the 90s which was an era of intense tug-of-war, and we all know where that led to. 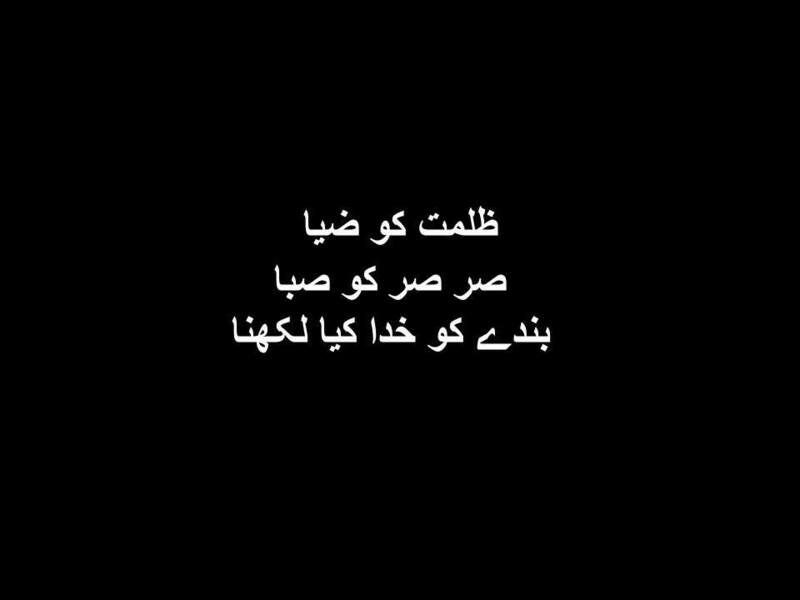 All at the cost of democracy and Pakistan. *This article originally appeared in Muftah.org and has been republished with permission. Founded in 1947, Pakistan has traveled a troublesome road. 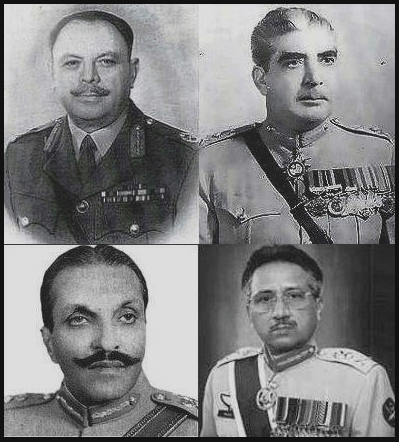 For approximately thirty-five of its sixty-six years in existence, four different military dictatorships have ruled the country. Even under civilian rule, the country has been gripped by political instability, with governments subject to intrigues and interventions by Pakistan’s powerful military establishment. In light of the Arab Spring, many Arab nations have been compared to the country, especially regarding the military’s involvement in politics. Nevertheless, despite Pakistan’s many challenges, there has been a lack of attention to contemporary developments in the country, which represent nothing less than a silent revolution. In 2008, the Pakistan People’s Party (PPP) was elected to office. The civilian government brought an end to the military dictatorship of then Chief of Army Staff General Pervez Musharraf, which had started nearly a decade earlier. Five years later, in May 2013, Pakistan held its next scheduled round of parliamentary elections, making the PPP the first democratically-elected civilian government in the country’s history to complete its full term. While this was an important milestone, it was also a bittersweet moment of reflection for ordinary Pakistani citizens. Having suffered greatly under the previous administration, Pakistanis jumped at the opportunity to vote the incumbent PPP government out during the elections held on May 11. Recording an impressive voter turn-out of 55%, the contest set Pakistan on a new path. The elections were largely peaceful with the EU Mission finding that 90% of polling stations exhibited satisfactory electoral conduct. Braving security risks, terrorist threats, the sweltering heat of May and an entrenched sense of indifference, the people boldly gave their vote of confidence to democracy. 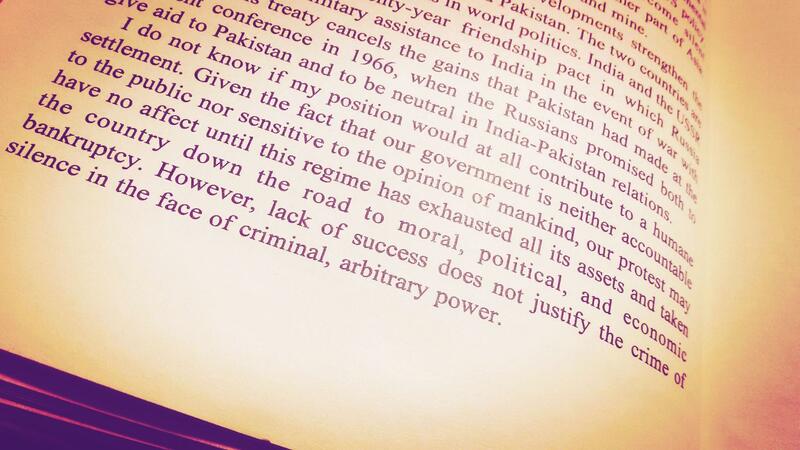 In doing so, they rejected and repudiated perceptions that countries like Pakistan are ‘not ready for democracy’. An unprecedented feat, the elections marked the peaceful transition from one elected government to another. In the process, these events resulted in a notable win for the Pakistan Muslim League – Nawaz (PML-N) and Mian Muhammad Nawaz Sharif, the party head and former twice-elected prime minister, was elected prime minister for the third time. 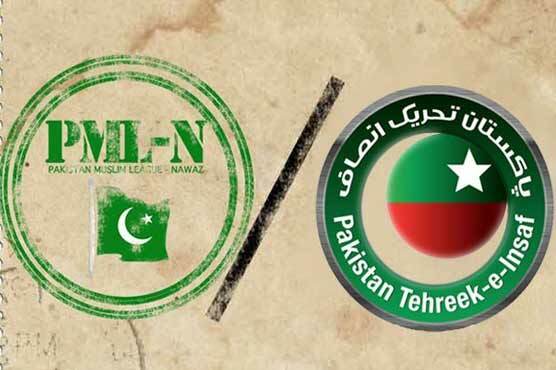 The PML-N is generally seen as a moderate party. Before being ousted by General Pervez Musharraf in the coup of 1999, it was previously voted into power in 1990 and 1997, and it is, to date, the only party in the history of the country to have a two-thirds majority in parliament. Since the coup, it has reiterated its commitment to democracy and complete opposition to any undemocratic intervention in Pakistan’s politics and government. A number of misconceptions about Pakistan’s state structure must be clarified to understand the changes currently occurring in the country as well as its democratic, political and social development. In contrast to popular assumptions, with only one exception, Pakistanis have never elected an Islamist government or been ruled by Islamists. General Zia-ul-Haq, a military dictator without electoral legitimacy who ruled from 1978 until his death in an air crash 1988, is the one aberration. While religious parties have wielded great power at the grassroots level and mastered the art of populist rhetoric, they have managed to grab only a meager amount of votes in elections. This might explain the eagerness of religious parties in Pakistan to offer their services to military-run governments, which represent their best chance of sharing in governance processes. Along with having vital, functioning state institutions, since the 1970s, Pakistan has had a proper, popularly accepted constitution in place, although numerous military interventions in politics have prevented its proper implementation from occurring. In recent years however the activist judiciary and media have resulted in greater accountability towards the ideals the constitution upholds. In contrast to the gloom and doom that many believe indefinitely prevails in the country, Pakistan today hosts a vibrant, free, and fledgling independent print and electronic media; an active judiciary that respects the importance of the rule of law; an army that has begun to receive scrutiny and that has, at least ostensibly, taken a back-seat in politics; a robust opposition in parliament; and a vigilant network of citizens on social media who generously indulge in the country’s relative freedom of expression. Pakistanis are also looking forward to the trial of Musharraf, under house arrest since his return this year on charges of deposing and arresting the judiciary in 2007 (in response to which the Movement for the Restoration of the Judiciary, popularly known as the Lawyers’ Movement, which ran from 2007 to 2009). He is also to face justice in connection with the murder of both Benazir Bhutto and the Baloch leader, Akbar Bugti; both cases in which he has been named the prime suspect. Pakistan is a country that is continually learning the prerequisites for successful democracy: consensus-building, collaboration, dialogue, and inclusiveness. This developing view can be seen in the country’s eighteenth constitutional amendment. Passed in 2012, the new law curbed the president’s sweeping powers to unilaterally dissolve the parliament, which had caused much havoc in the preceding years. Pakistan enjoys massive human capital that has heretofore been hindered by political crises and widespread unemployment. It is home to a population of 190 million people. Seventy million of these individuals are part of the country’s middle class, while 16 million have access to the Internet. 67.1% of Pakistanis are below the age of thirty. The country is urbanizing at the fastest rate in South Asia. Half the population will live in cities by 2025, up one-third from current figures. Pakistan has a burgeoning textile industry and immense potential to be an emerging market. It has women who serve both on political and combat frontlines and has produced a Nobel Laureate and two Oscar winners. Yet side by side with these signs of success are the other, alarming aspects of Pakistan’s character. Today, the country stands at the convergence of many grave social, political, and economic issues. It faces challenges from the dual monstrosity that is terrorism and extremism; an acute imbalance between military-civilian relations; corruption and venality; an economic breakdown; societal decadence; bureaucratic infighting; and hurdles in its geopolitical relations. Just as the Arab world is in the throes of revolution and rebellion today, Pakistan also seeks a break from its own past, which is riddled with instability, uncertainty, contempt of law, and dictatorial violations of the sanctity and soul of the country. This year’s democratic transition brings with it the hope that Pakistan will finally close the chapter on its history of military intervention in politics. It also indicates the emergence of a democratic culture in a place where the rule of law had long been subordinate. Pakistan’s new government may not entirely cure its problems but that these historic elections have occurred is an achievement in itself. Indeed, it represents a much-needed first step in the right direction. The world should embrace Pakistan as it finally embraces democracy.